Why not ML in the Manufacturer forum? Mark Levinson had a serious issue with their No 331,332,333 amplifiers caused by bad Phillips capacitors. I don't know the details but what I have read is they would get hot and start leaking prematurely. So hot in fact that some insulation material in the amps melted and leaked out the back around the IEC connector. They apparently were good sounding amps but did not have great reliability. I suspect that fiasco hurt their brand for the last decade. I currently have a buddy's number 333 that needs new capacitors. We have Cornell Dubulier caps on order and I will attempt the replacement when they arrive. Overall, my buddy was very happy with his ML CD player which he used as a preamp and his No333 until the caps started going. He pared it all with B&W 801s and Transparent cabling. He swears by that system. Having been involved in the manufacture of electronics, quality issues do crop-up sometimes. Most companies try to find suppliers they trust to provide high quality parts at the right price and trust them to do the quality (inspection) work for them. This saves time and money in the receiving inspection process. Their latest integrated was well received here in Europe: EISA Award 2015-2016. 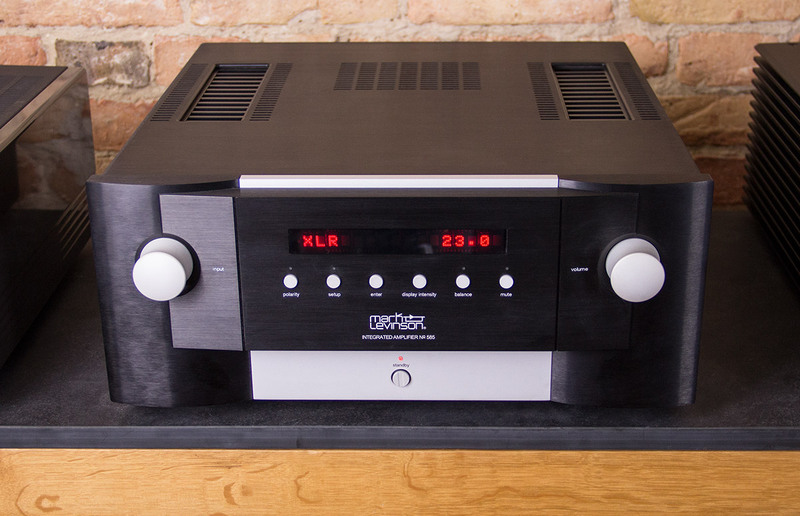 It also got a great review in Stereophile. It is on my personal list of potential replacements for my current integrated amp and standalone DAC. I really enjoy simplicity in my main living area system as my wife uses it as well as me. An integrated amp with a nice DAC is a perfect all in one solution for me. It was very well received in Sweden too. "best buy" in Swedish hifi press. I do agree that it does look nice. I did hear the No. 52 preamp last year, which is their reference pre. It did sound OK for a SS pre but the speakers were Focal of which have never been at the top of my list thus it was tough for me to really critic this piece.